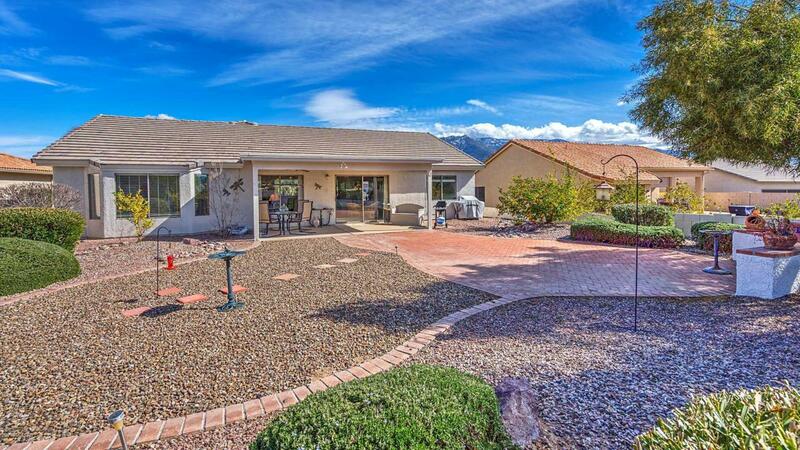 This lovely LAREDO is 1844 sq. ft. with 2BR/2BA + Den/Office and features a split-bedroom plan. 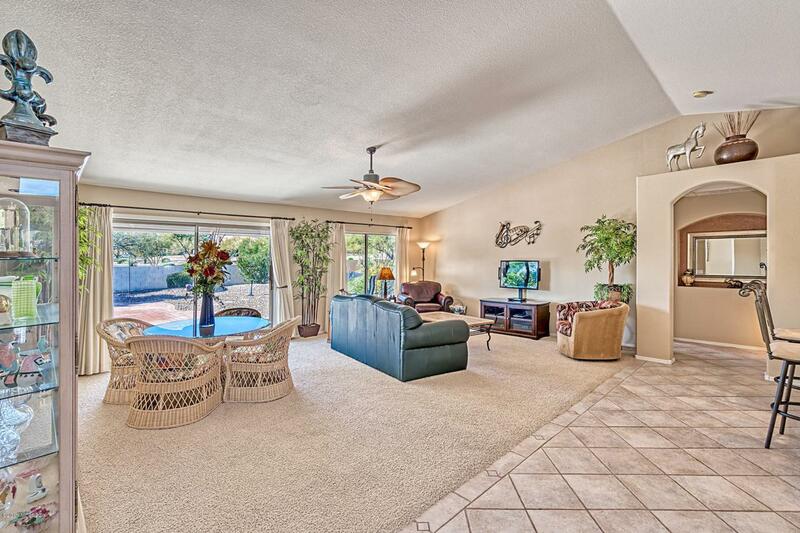 Situated near the center of SaddleBrooke's HOA #2, there is a covered back patio with extensive, added bricked areas. 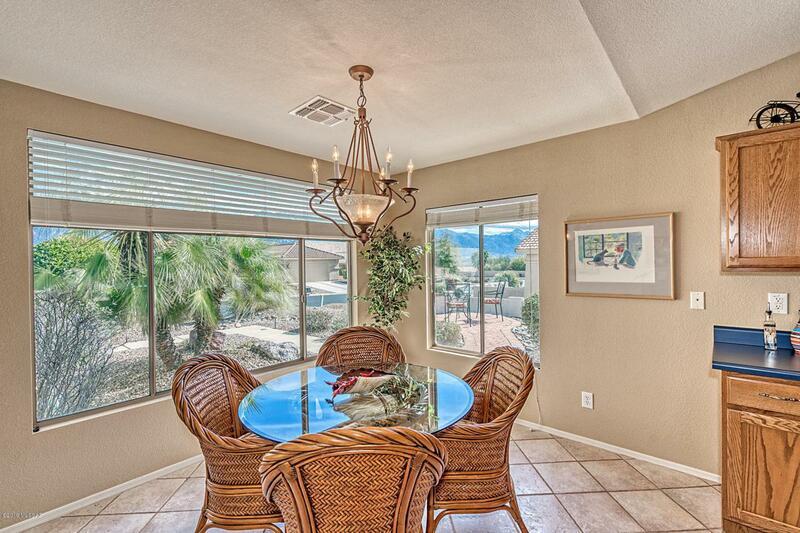 Kitchen has an island, adjacent breakfast nook, & pendant lighting over the breakfast bar. Floor tile in all the right places. Soothing, neutral color palette throughout. Upgraded ceiling fans. 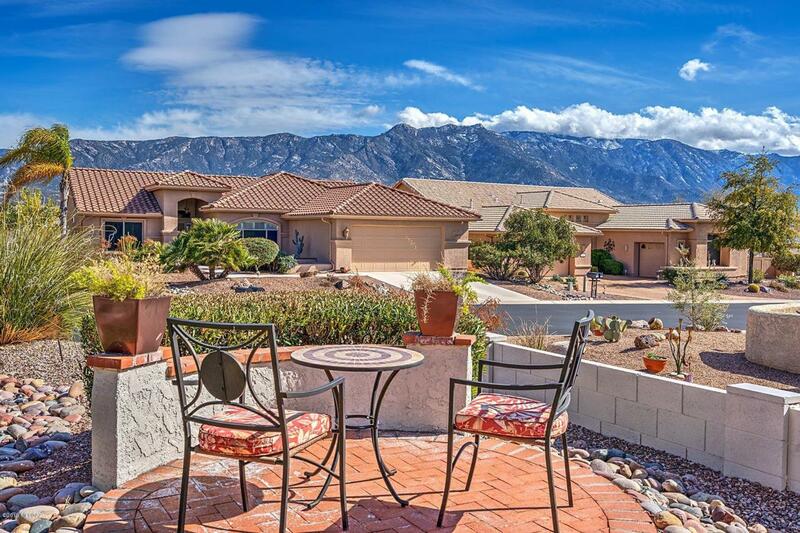 Terrific mountain views from the front yard seating area. Whether for full-time living, second home or investor, this well-cared for home is ready for your move-in! Furniture may be sold separately or home may be sold turnkey for the right price!